The prices are in CZK and EUR - for one room and one night with breakfast, incl. VAT and a place-charge. Price is understood for 1 night, 1 room. The room is equipped with all amenities (bathroom, satellite TV, telephone, fridge). Please note, for the payment, we can accept only cash, Eurocard/Mastercard and VISA. Price lists in EUR are approximate and they are subject to change according to the current exchange rate between EUR and CZK. 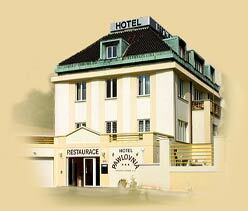 Prices are quoted in CZK and EUR per room and night, including breakfast, VAT and local fee. Prices in EUR may change in case of CZK/EUR currency exchange rate.